Deal of the Day: Save 31% on Charging Dock for Xbox One Controllers for 12/03/2018 only! 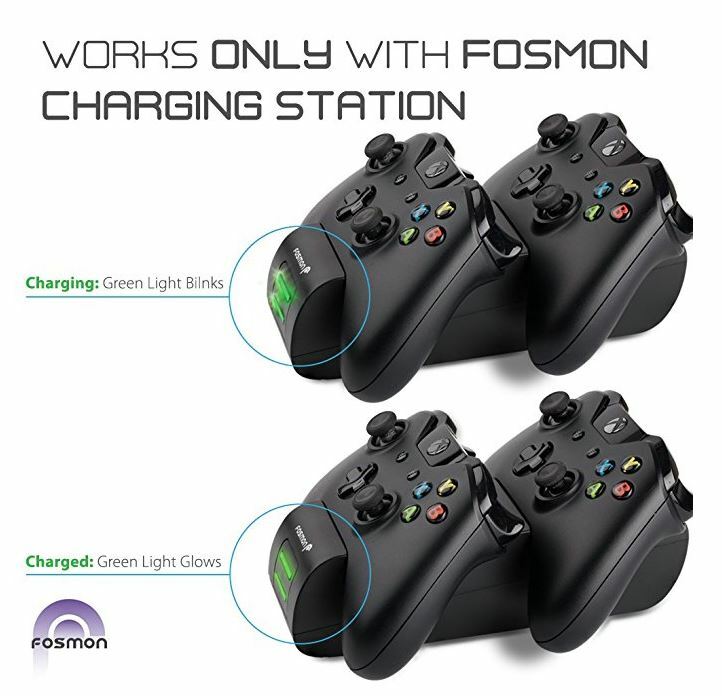 Fosmon’s dual conductive charging station for Xbox One Controllers replaces your Xbox One Controller’s battery housing, turning them into rechargeable battery packs. Simply plug the base into an open USB slot on the Xbox One, or into a USB charger. Hurry while this deal last for $17.49. COMPATIBLE WITH XBOX ONE / ONE ELITE / ONE S / ONE X CONTROLLERS. This controller charging station works for Xbox One / One S / One X controllers.